Del Rio Yachts offer services of the highest quality. We provide you with respectful people that only produce service at its best. All of our people are certified to work on the yachts and boats that we represent. They have time after time worked on these vessels and know how things work and what’s the best layout to produce exactly what you want for your event. They can suggest different options or just explain what they have done in the past for our other client events aboard yachts. 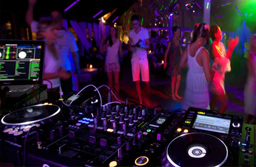 Del Rio Yachts MC’s and DJ’s have performed at hundreds of Weddings, Bar/Bat Mitzvahs, Corporate, Sweet 16’s and other social parties. Our entertainers pay close attention to your details and provide a continuous flow of music for your event. They can play anything and everything from the Oldies to the Top 40’s List. If you’re interested in live music we can provide you with a solo pianist, 3 piece Jazz Band, to a full 12 piece band. Del Rio Yachts offers Floral Arrangements for all your needs. Whether it is a Wedding Reception, Birthday Party, or just a Social Gathering we can make sure all of your arrangements and bouquets come out as you wished. Our professional consultants will be providing you with ideas and collaborating with your ideas to create the perfect floral arrangement for your event. Our consultants will be more than happy to answer any questions you might have or spend as much time as needed planning your floral design. 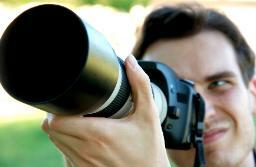 arrange whatever they are photographing so that it will stand out clearly in the finished picture. Our Photographers and Videographers are hand picked and only provide the highest quality of service for complete customer satisfaction. Looking for new and exciting ways to entertain your family, friends or co-workers. 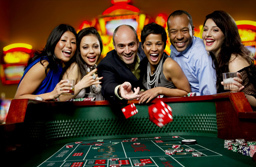 How about a customized Casino and Gaming Package? Whether it’s a black tie affair or just a friendly get together, we can bring the excitement of Las Vegas right to your event. We provide a fun and professional atmosphere. The Pit Boss and Casino staff are all in tuxedo style attire. If you have guests that do not know how to play certain games our professional dealers are more than happy to show them the ins and outs of every game. of the best smokes they have ever had. 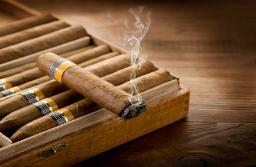 Our cigar rollers guarantee the freshest of tobacco kept and maintained to the highest standards. You will have a smooth and enjoyable cigar while enjoying the gorgeous skyline. Planning on having your Wedding Ceremony with us? Are you looking for an Officiant? Del Rio Yachts can help. 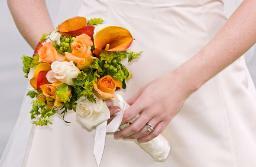 Our Wedding Officiants are all ordained ministers and qualified to perform wedding ceremonies. We provide different options when it comes to your wedding ceremony officiant. You can have a typical ceremony or customized vows. We also have fully Coast Guard Certified Captains that are ordained ministers that can perform the ceremony in full maritime uniform and give the ceremony a nautical theme.